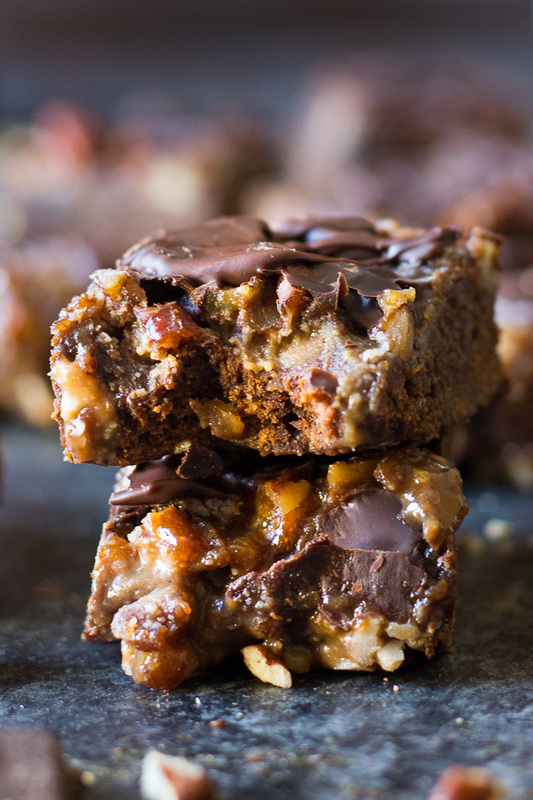 These gooey double chocolate turtle bars has a chewy chocolate cookie crust, a dreamy salted caramel pecan layer and lots of chocolate drizzled on top. If that doesn’t sound good then I don’t know what does. They’re decadent but made with real food ingredients.